Flip tarp systems are commonly used to cover a dump truck bed, end dump trailer, or roll off container. This system could be manual or electric and includes a front mounted roller bar plus a tarp arm that will extend the tarp up and over the load from front to back. Most flip systems recommend the tarp be purchased at a width that is 10" narrower than the front roller bar. The tarp length is usually purchased at 2' longer than the bed it will be covering. This extra two foot of length will help to cover any cargo protruding above the top rail plus leaves some material on the roller to ensure the tarp will roll up straight. 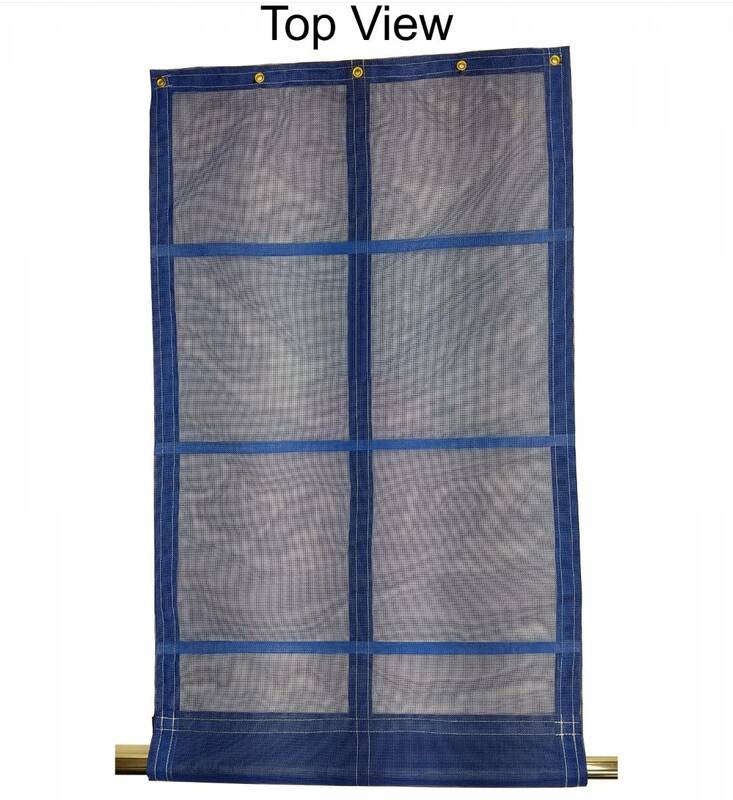 This replacement roll tarp is built using our 11-ounce vinyl coated polyester mesh fabric. 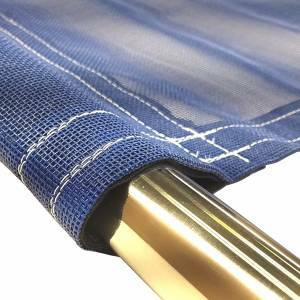 The material has an open weave that is 55% solid allowing water and air to freely pass through the tarp. 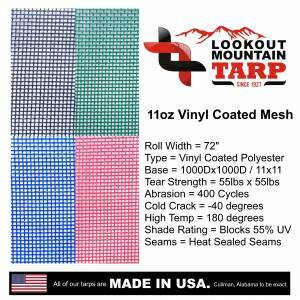 For many applications it has the same life expectancy as a solid 18-ounce tarp due both fabrics sharing the same 400 abrasion rating. 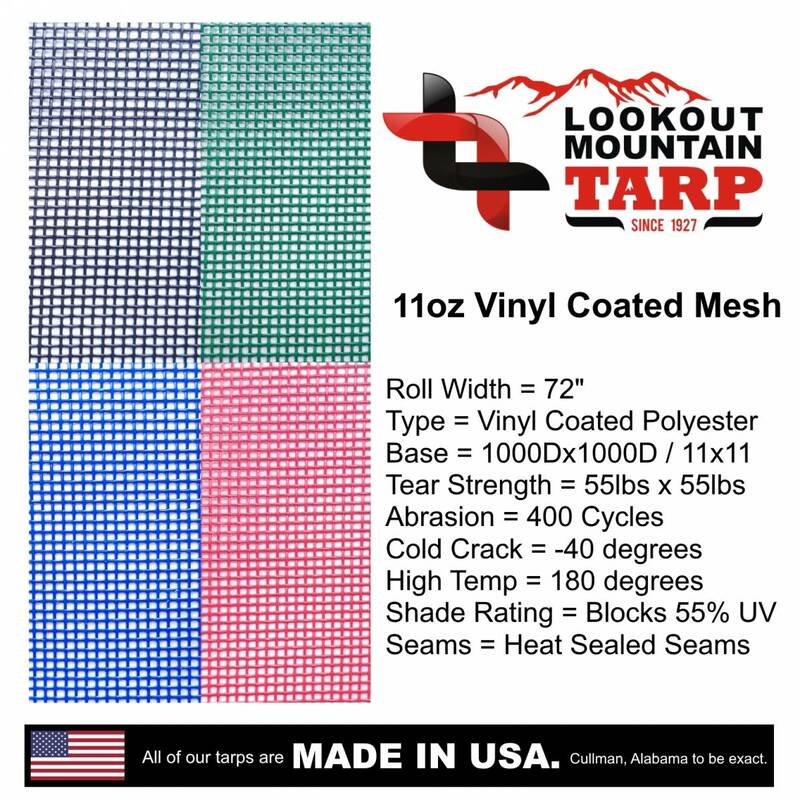 Its durability and lower cost make open mesh an excellent choice for hauling chunky items like wood chips, bark, or gravel that do not need to stay dry. As an added bonus the open design catches less wind while opening/closing which can reduce damage to the tarp arm. 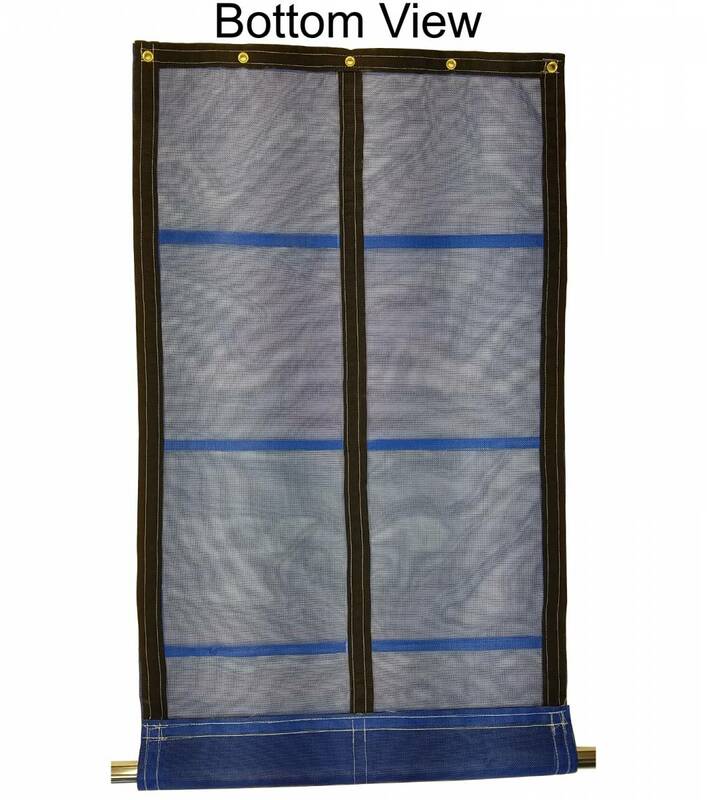 Our standard flip tarp design has a rectangular shape. The front and sides are folded over creating a 2-ply thickness known as the hem. 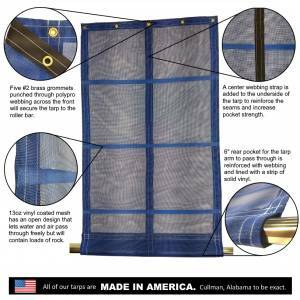 Heavy duty polypro webbing is used to boost the hem's tear strength by 600 LBS plus we add an addition strip of this webbing down the center. The tail end of the tarp is folded over to create a 6" pocket for the tarp arm to pass through. 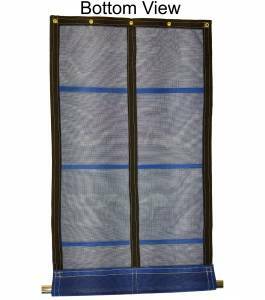 This pocket is reinforced by the center webbing strip as well as the webbing from the hems. The pocket is sewn closed with a double lock stitch using our heavy duty 277 polyester bonded thread which has been tested to outperform a welded pocket. 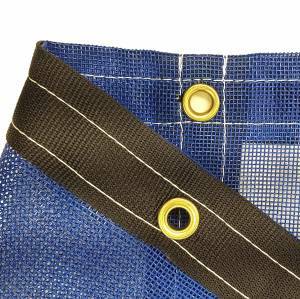 Five grommets are installed across the front hem for attaching the tarp to the roller bar.